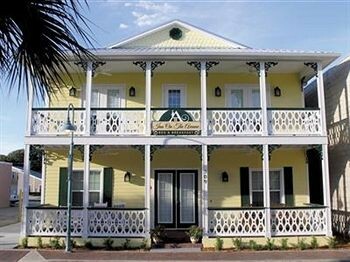 Property Location When you stay at Inn On The Avenue Bed & Breakfast in New Smyrna Beach, you&apos;ll be in a shopping district and minutes from Flagler Avenue Park and Detwiler Park. This bed & breakfast is within close proximity of Callalisa Park and Little Theatre of New Smyrna Beach.Rooms Make yourself at home in one of the 6 individually decorated guestrooms, featuring iPod docking stations and flat-screen televisions. Complimentary wireless Internet access keeps you connected, and cable programming is available for your entertainment. Bathrooms have complimentary toiletries and hair dryers. Conveniences include complimentary newspapers and ceiling fans, and you can also request irons/ironing boards.Rec, Spa, Premium Amenities Make use of convenient amenities, which include complimentary wireless Internet access and tour/ticket assistance.Dining A complimentary cooked-to-order breakfast is served daily.